Everyone’s favorite grocery store (and ~lifestyle destination~) Whole Foods recently opened a full-service restaurant in Midtown, Atlanta called The Roast. As if this weren’t exciting enough, the new restaurant also a specific vision: The Roast will serve Brazilian churrasco fare, which is basically Brazilian BBQ, but y’know, fancier, and its chefs will include a rotation of some of Atlanta’s finest. No, it won’t be a restaurant serving all of your favorite Whole Foods items, like mochi ice cream, and no, its prices aren’t Whole Foods high. Sounds like it’s worth taking a trip to ATL, if you ask us. 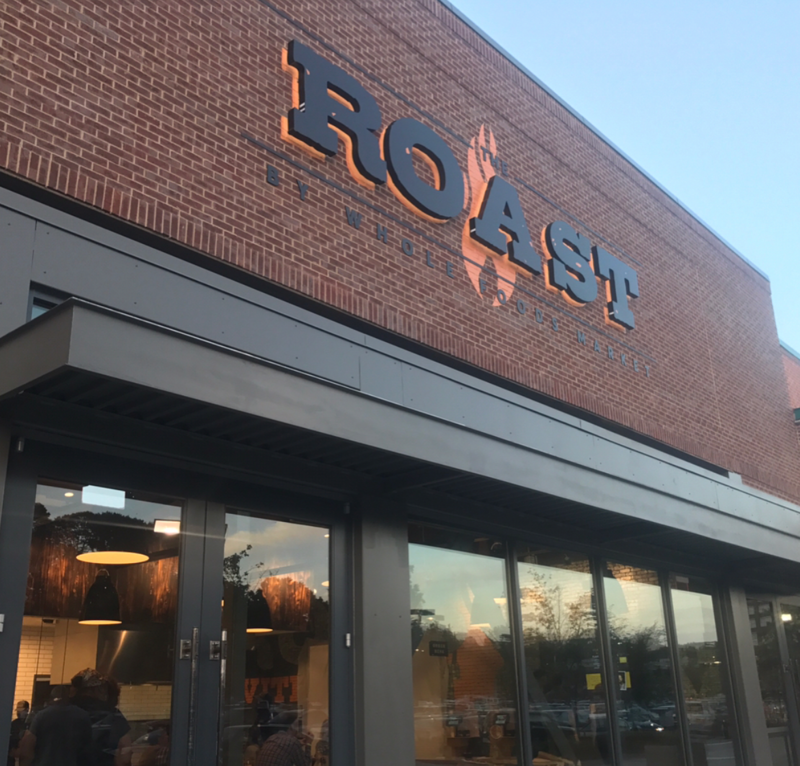 The Roast is located next to the Ponce City Market, so if eating at a Whole Foods restaurant makes you miss shopping, you won’t have to go far after your meal to quell your craving. The first chef who created recipes for The Roast is Kevin Gillespie, former Top Chef contestant and owner of several popular restaurants in Georgia. He offered items such as the Flavor of the Andes bowl. According to Atlanta Eats, the bowl includes “roasted cauliflower, oven roasted Peruvian potatoes, golden beets, aji Amarillo pepper sauce, fresh mint & roasted peanuts.” Sounds (and looks) absolutely delicious. For the restaurant’s preview party, another dish being served was the Brazilian Lamb and Crispy Cauliflower. The entire menu also includes drinks, so you can fulfill your dreams of drinking and dining at Whole Foods (basically). Yums all around. We can’t wait to see what the other featured chefs cook up, and discover which cities Whole Foods is going to open up a full-service restaurant in next.